Pass the Cereal: Yoga "Stuff"
Well, you'll definitely want a yoga mat. I currently use a Lotus Pad yoga mat that I love . . . but prior to that, I bought one at TJ Maxx for pretty cheap. You'll also probably want a block and a strap for balance & extra stretching ability. I have a cushion, too . . . but a pile of blankets works just as well. Don't think you'd need anything else! 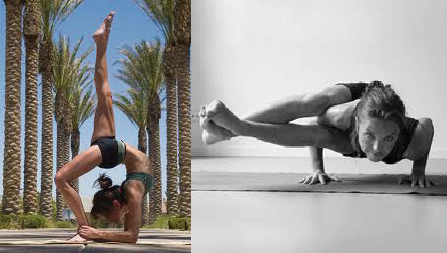 Balance poses (like tree, for instance) are often done off the mat, because even a 1/4" mat can throw off your balance! I'm happy to answer any other questions you've got! I have the Gaiam double thick mat from Target. I believe it was around $30. I like the double thick mat because it gives you a little more cushion on your knees in certain poses. A block is another good thing to start out. Amazon has some good deals, and I've gotten somethings at Marshall's or TJ Max. I just got a new mat (finally!) and it's an Altus from Scheels. I like a thin mat and then if I need extra cushion, I use a small towel. TJ Maxx & Marshalls have some great deals on good mats too. I second the others, get a block and a strap – you'll thank yourself. We love doing family/kids yoga too! I'll let you know if I found out any other pertinent info at yoga day!! I find that the best deals on mats are at marshalls/tj maxx. Don't get the el cheapo one at Target ($9.99 - embark). It doesn't have that 'stick' that it needs. that was my first one and I slid around a lot. They can get pricey, so just get something basic - around $15-$20. I actually got my block in the $1 section of Target! But I don't use it a lot. After you do yoga for a bit, you'll know whether or not you're a 1 or 2 block gal. And straps....its a personal thing that depends on your pref and flexibility. I don't use straps. So figure out if you need one before you spend the $$. As for everything else, rolled blankets or towels work just fine and even a teacher will tell you that. Have fun! I heart yoga!!! !